What are the results of a heart transplant? What are the complications of a heart transplant? How does a heart transplant patient know if he or she is rejecting the donor organ or developing an infection? How is rejection of the organ diagnosed and monitored? Why aren't more heart transplants done? What is the future of heart transplant? The idea of replacing a bad organ with a good one has been documented in ancient mythology. The first real organ transplants were probably skin grafts that may have been done in India as early as the second century B.C. The first heart transplant in any animal is credited to Vladimer Demikhov. Working in Moscow in 1946, Demikhov switched the hearts between two dogs. The dogs survived the surgery. The first heart transplant in human beings was done in South Africa in 1967 by Dr. Christiaan Barnard; the patient only lived 18 days. Most of the research that led to successful heart transplantation took place in the United States at Stanford University under the leadership of Dr. Norman Shumway. Once Stanford started reporting better results, other centers started doing heart transplants. 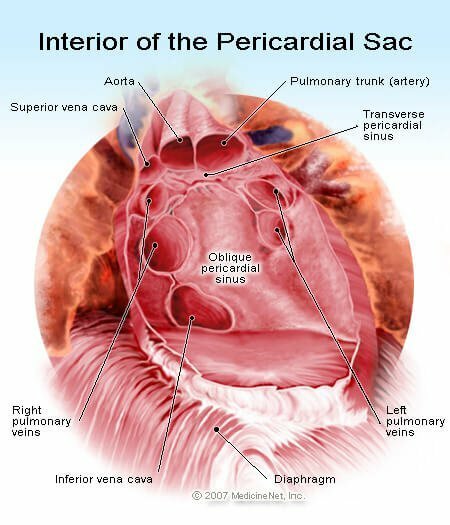 However, successful transplantation of a human heart was not ready for widespread clinical application until medications were developed to prevent the recipient from "rejecting" the donor heart. This happened in 1983 when the Food and Drug Administration (FDA) approved a drug called cyclosporine (Gengraf, Neoral). Before the advent of cyclosporine, overall results of heart transplant were not very good. The first operation is harvesting the heart from the donor. The donor is usually an unfortunate person who has suffered irreversible brain injury, called "brain death". Very often these are patients who have had major trauma to the head, for example, in an automobile accident. The victim's organs, other than the brain, are working well with the help of medications and other "life support" that may include a respirator or other devices. A team of physicians, nurses, and technicians goes to the hospital of the donor to remove donated organs once brain death of the donor has been determined. The removed organs are transported on ice to keep them alive until they can be implanted. For the heart, this is optimally less than six hours. So, the organs are often flown by airplane or helicopter to the recipient's hospital. The third operation is probably the easiest; the implantation of the donor heart. Today, this operation basically involves the creation of only five lines of stitches, or "anastomoses". These suture lines connect the large blood vessels entering and leaving the heart. Remarkably, if there are no complications, most patients who have had a heart transplant are home about one week after the surgery. The generosity of donors and their families makes organ transplant possible. There are not enough donor hearts available for everyone who may need a hear transplant. Therefore, there is a careful selection process in place to assure that hearts are distributed fairly and to those who will benefit most from the donor heart. 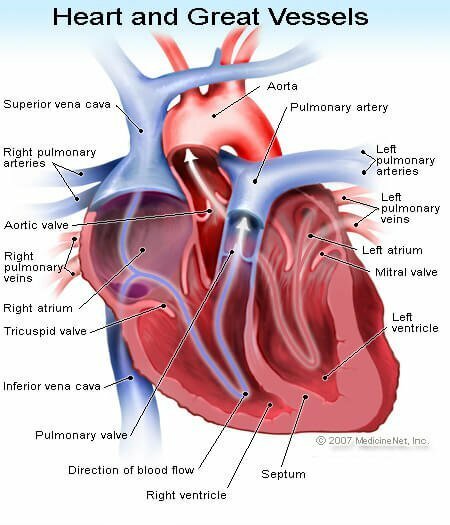 The heart is just a pump, although a complicated pump. Most patients require a transplant because their hearts can no longer pump well enough to supply blood with oxygen and nutrients to the organs of the body. A smaller number of patients have a good pump, but a bad "electrical conduction system" of the heart. This electrical system determines the rate, rhythm and sequence of contraction of the heart muscle. 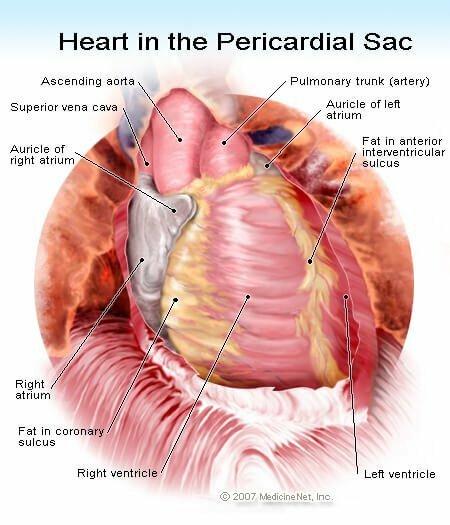 There are all kinds of problems that can occur with the conduction system, including complete interruption of cardiac function causing sudden cardiac death. While there are many people with "end-stage" heart disease with inadequate function of the heart, not all qualify for a heart transplant. All the other important organs in the body must be in pretty good shape. Transplants cannot be performed in patients with active infection, cancer, or bad diabetes mellitus; patients who smoke or abuse alcohol are also not good candidates. It's not easy to be a transplant recipient. These patients need to change their lifestyle and take numerous medications (commonly more than 30 different medications). Hence, all potential transplants patients must undergo psychological testing to identify social and behavioral factors that could interfere with recovery, compliance with medications, and lifestyle changes required after transplantation. Moreover, needing a heart and being a suitable candidate are not enough. The potential donor heart must be compatible with the recipient's immune system to decrease the chance of problems with rejection. Finally, this precious resource, the donor organ, must be distributed fairly. The United Network for Organ Sharing (UNOS) is in charge of a system that is in place to assure equitable allocation of organs to individuals who will benefit the most from transplantation. These are usually the sickest patients. When all potential problems are considered, the results of transplantation are remarkably good. Keep in mind that heart failure is a very serious and life-threatening disease. In patients with severe forms of heart failure that require transplantation, the one year mortality rate (that is the percent of patients who die in within one year) is 80%. Overall, five year survival in patients with any form of heart failure is less than 50%. Compare these outcomes with cardiac transplant. After heart transplant, five year survival averages about 50%-60%. One year survival averages about 85%-90%. One might ask, "Why is survival no better than it is after a heart transplant?" As part of our defense mechanism to fight off infection and even cancer, our bodies have an "immune system" to recognize and eliminate foreign tissues such as viruses and bacteria. Unfortunately, our immune system also attacks transplanted organs. This is what happens when organs are rejected; they are recognized as foreign by the body. Rejection can be controlled with powerful "immunosuppressive" medications. If there is not enough immunosuppression the organ can reject acutely. Even when it seems that there is no active rejection, there may be more subtle chronic rejection that consists of a growth of tissue, something like scar tissue, which causes blockage of the blood vessels of the heart. The blockage of the vessels is the process that ultimately causes the transplanted heart to fail. It is this chronic rejection that is the major limiting factor for the long-term success of heart transplantation. Unfortunately, immunosuppression is a double-edged sword. While immunosuppression blocks rejection, because it suppresses the immune system, transplant patients are more susceptible to infection and cancers of various types. Among older transplantation patients, as survival has improved, more patients are eventually dying from cancers. "flu-like symptoms", such as chills, headaches, dizziness, diarrhea, nausea and/or vomiting. The more specific symptoms and signs of infection will vary greatly depending upon the site of infection within the body. Transplant patients who experience any of these findings need to seek medical attention immediately. The transplant physician will then do tests to determine whether the transplanted heart is functioning normally or not. If there is no evidence of rejection, a thorough search for infection will be performed so that the patient can be treated appropriately. Currently, the gold standard for monitoring rejection is the endomyocardial biopsy. This is a simple operation for the experienced cardiologist and can be done as an outpatient procedure. First, a catheter is put into the jugular vein in the neck. From there, the catheter is advanced into the right side of the heart (right ventricle) using an x-ray method calledfluoroscopy for guidance. The catheter has a bioptome at its end, a set of two small cups which can be closed to pinch off and remove small samples of heart muscle. The tissue is processed and placed on glass slides to be reviewed under the microscope by a pathologist. Based on the findings, the pathologist can determine whether or not there is rejection. Immunosuppressive therapy is then adjusted, for example, increased if rejection is present. Investigators have tried to develop less invasive methods to monitor for rejection. There is a new high-tech analysis that can be done in a sample of blood that is very promising and much easier for the patient than the endomyocardial biopsy. This test looks at the expression of specific genes in cells in the blood. The amount of expression of key genes indicates whether or not rejection is occurring. While this method has not replaced the endomyocardial biopsy as the gold standard, it has decreased the frequency of biopsies for many patients. It's not easy to qualify for a heart transplant. One has to have a very bad heart but an otherwise healthy body. However, the major limiting factor is the availability of donor hearts. For many reasons, individuals and families refuse to donate organs that could be life-saving to others. Sometimes, even when an organ is available, there is no good match. Other times, there is no way to get the heart to a suitable recipient in time for the organ to still be viable. Cost is another reason, although less frequent, why more heart transplants aren't done. The cost is always at least a few hundred thousand dollard. Not all insurers will pay for heart transplant. The longer the recipient lives, the more expensive the transplant. Of course, if the heart lasts longer, the benefit is also greater to the patient and to society. There are several ways to help patients with end-stage heart disease. One is to get more donors for heart transplant. This will require teaching people the benefits of transplantation in hope of changing society's attitudes. Better methods of preserving organs and preventing and treating rejection are constantly being developed. In the end, however, there will never be enough donor hearts. Indeed, artificial hearts already exist but have a limited life-span. Patients with artificial hearts are at high risk of developing infection and blood clots related to the device. Better devices are being developed all the time. What about the use of animal organs, also called xenotransplantation? These organs are too "foreign" and thus the problems with rejection are currently insurmountable.